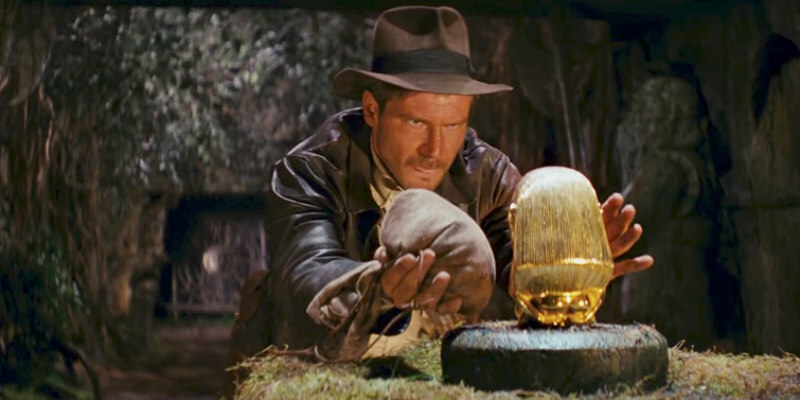 A new video looks at the many movies that influenced Spielberg's classic adventure. Modern Hollywood is often criticised for its obsession with nostalgia, but it's got nothing on the work of the 'movie brats', the group of young American filmmakers who emerged in the '70s. The films of the likes of George Lucas, Francis Ford Coppola and Brian De Palma are packed with references to the movies they grew up watching. Steven Spielberg's Raiders of the Lost Ark may have felt fresh on its 1981 release, but it was simply a modern update of the classic Hollywood adventure movies of Spielberg's youth, with some elements of Japanese cinema thrown into the mix. A new video by Glass Distortion lines up moments from Spielberg's film with those that served as a visual reference, highlighting just how great nostalgia can be when it's done in a subtle, uncynical fashion.